We brought the great flavour of a Philly Cheesteak to Canada and created the Philthy experience! Enjoy delicious, authentic, Philadelphia flavour! 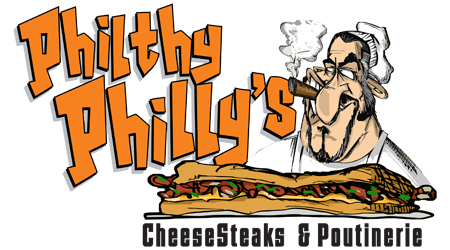 Find a Philthy Philly's near you and order now with SkipTheDishes! Are you interested in franchising a Philthy Philly's? COPYRIGHT © 2019 PHILTHY PHILLY'S. ALL RIGHTS RESERVED. WEBSITE DESIGN BY RETAILORS GROUP.